SZA's music holds power. From the singer weaving in the wisdom of her mother and grandmother throughout CTRL to her father being brought to tears just by running her record back, no one can deny the magnitude her talents hold. Recently, a video clip showcasing the TDE artist's father shedding a proud and heartfelt tear while listening to her track, "Broken Clocks," has gone viral, resulting in fans being all up in their feelings (and rightfully so). The video, which was shared by a fan on Twitter and has amassed nearly 40,000 retweets, shows her father, Abdul Mubarak-Rowe, singing along to the CTRL cut and wearing a white hat from the album's supporting tour. "Every time I hear this song sweetie, I'm in tears," he says in the clip. "I love this song by you, I love your whole album but this is one of my favorite songs." 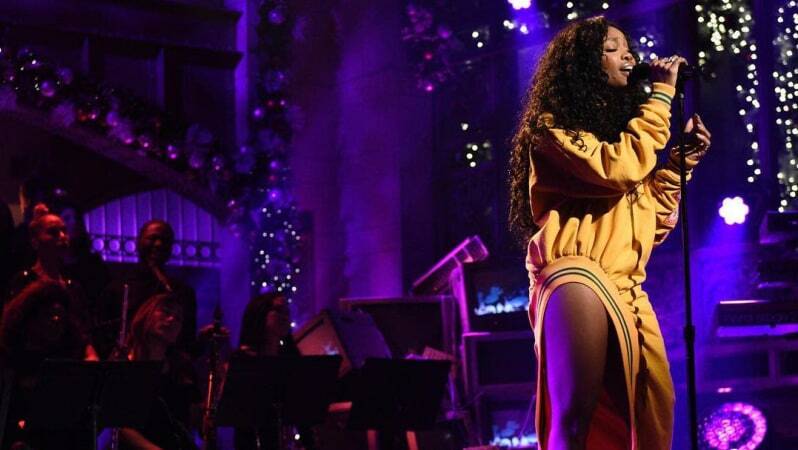 Naturally, both the internet and SZA alike were captivated by the beautiful moment. The singer then hit fans in the feels once again, returning the sentiment, and writing, "Really love u daddy. Thank u for loving ME! Forever my favorite warrior." Take a look at SZA's father being moved to tears by his daughter's track, "Broken Clocks," below. New Music: "Crying Upside Down"